Our hero EggBoi takes on Fraser Anning, the senator for Queensland that is now despised around the world for comments made after the shooting at a New Zealand mosque. The goal has been raised to $50,000 in homage to the 50 victims of the Christchurch terrorist attack. UPDATE: Proof of contact with EggBoi can be seen in updates and has been verified by other people too. EggBoi (Will) plans to send a majority of the money to the victims of the Christchurch terrorist attack. I will keep you all updated over the next few days. THANKS FOR ALL YOUR HELP AND DONATIONS - PLEASE KEEP THEM COMING. 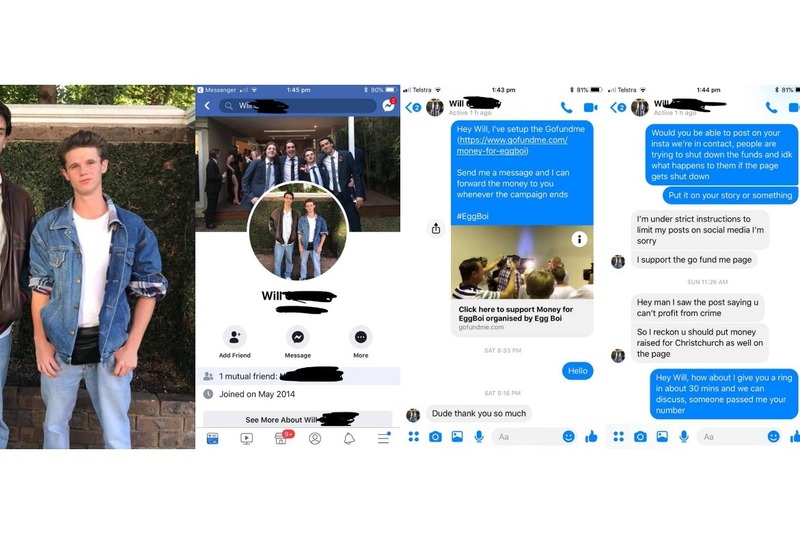 We have been in contact with EggBoi (Will) over the last few days over messenger and the phone. He is currently limited with what he can post as he and his family are following certain processes. When we have more of an update we will let everyone know.